Is that for real? How do they do that? There must be a trick. Those are the questions the videos in this post brought up for me. I hope you share my surprise and amusement at the expanse of the human repertoire represented here. Because I had to satisfy my own curiosity, I’m sharing brief descriptions with links for anyone interested in seeing or learning more about how and what you are seeing. Beatboxing is the art of producing drum beats, rhythm and musical sounds using one’s mouth, lips, tongue and voice. It can also involve singing and the simulation of horns, strings and other musical instruments. 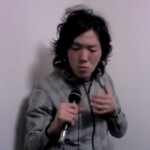 HIKAKIN is a Japanese beatboxer. Be sure to give it at least 30 seconds. Mountain bike trials are a discipline of mountain biking in which the rider attempts to pass through an obstacle course without putting their foot to the ground. This video features Danny MacAskill the best known practioner of street trials which are a freestyle and non-competitive version of mountain-bike trials. Thanks to his breathtaking skill and subsequent interest on youtube, MacAskill has become a professional street trial rider. You’ll soon know why. MacAskill was born and raised in Dunvegan on the Isle of Skye, Scotland. Thanks again to Wine and Bowties. This is the story of Exodus from the Bible. Fifth graders at Kuinerrarmiut Elitnaurviat School in Quinhagak,Alaska, a Yupik village of 550 people located on the Bering Sea coast in Southwest Alaska, decided to make a class project to present at a Christmas program for the entire village. It’s well past the holiday, but if you haven’t seen it, it’sl fun. Louie Schwartzberg is an award-winning cinematographer, director and producer whose notable career spans more than three decades providing stunning imagery for feature films, television shows, documentaries and commercials. He has a channel on youtube, Moving Art. Thanks to Jane and Merry. This extraordinary example of facade mapping was projected in Berlin, Germany as an ad for LG Optimus One cell phones on September 29, 2011. The sounds you hear in the background are people watching from the street. Facade mapping is a kind of 3-D animation projected against the side of a building, and initially, at least, “mapped” to perfectly match the buildings surface, allowing the animators to play with the building, both as a subject and as a surface for projecting other images. Wow! That is so awesome! Thank you for sharing these with us and bringing such awe to my day. I will forward on to Heath. The world is more fascinating than imaginable. Thanks for introducing me to beatboxing.Both Hikakin and NanaKyei are amazingly talented. Dany MacAskil is the best mountain biker I have seen. 3-D mapping was something new with animation I could never have imagined. Thanks to human ingenuity and to dusky for sharing. Silhouette Performance is so well coreographed, enjoyed the performance.